Fine Gael's David Stanton is seeking re-election for fourth term as a deputy for Cork East. 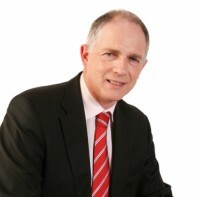 Stanton was first elected in 1997 and was returned to Leinster House in both 2002 and 2007. Over the course of his thirteen years as a Dáil deputy, Stanton has been appointed as spokesperson on a range of issues (Disability; Dail Reform; Equality and Social and Family Affairs; and Labour Affairs, Consumer Rights and Trade). He is currently the party's spokesperson on Defence. Prior to his election to the Dáil, Stanton worked as a woodwork and technical drawing teacher and a career guidance counsellor in St. Colman’s Community College, Midleton.